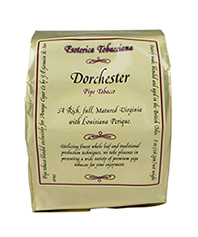 Esoterica Tobacciana pipe tobacco is blended by J.F. Germain and Son exclusively for Butera Pipe Company using only the finest quality whole leaf and traditional production techniques to produce their amazing pipe tobacco blends. Entirely made, blended, and aged in the UK British Isles, Esoterica pipe tobaccos are considered among the finest blends in the world. SPECIAL NOTE: Esoterica pipe tobaccos are only shipped to Milan Tobacconists a few times a year and in very small quantities. Because of the high demand/low availability, we do not presell, hold any aside, or notify customers when shipments arrive. We established this policy in an effort to be as fair as possible with the distribution of these highly sought after blends. 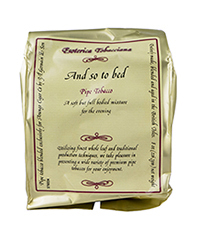 Only the finest grades of carefully aged Virginia and Maryland tobaccos are blended with Greek Oriental leaf and high-grade Cyprian Latakia to produce Esoterica's "And So To Bed." This blend is then specially processed and additionally matured to create a mellow, full strength smoke with rich flavors and a unique aroma. 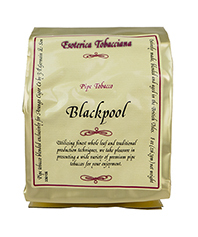 Dark as its name implies, Esoterica's Blackpool is a smooth, full strength blend of hot-pressed dark and Golden Virginias topped with a dash of licorice extract. 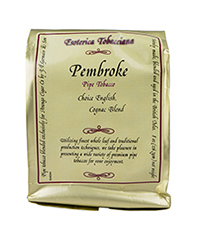 This thoroughly satisfying tobacco offers a slow and cool burning smoking experience. Cardiff offers a well balanced mixture of four Virginias, pressed until reddish-brown and then fully rubbed up. 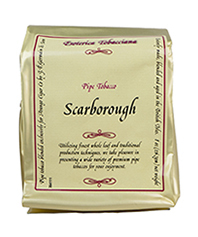 A mild and slightly sweet traditional tobacco that should be enjoyed slowly. Dorchester is a special formulation of six light Virginias blended with Golden and Dark Virginias with air-cured leaf and a pinch of Louisiana Perique. The carefully selected cut offers easy burning and the Perique balances the Virginias. Dorchester is a blend for the discerning palate. 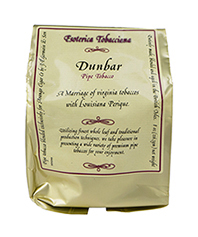 Dunbar is a mature recipe of seven types of Virginia tobaccos blended with Louisiana Perique, lightly pressed for several days to mellow the mixture, and then cut into flakes and rubbed up. This is a high quality blend with a savory taste, a fine bouquet, and a rich depth of flavor. 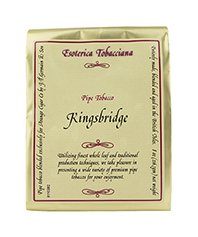 Kingsbridge is a mixture of dark and gold Virginias that are hot-pressed, sliced, and ready-rubbed for a mellow and slightly sweet smoking experience and pleasant room note. 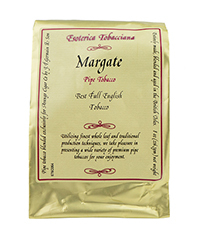 Margate is a robust and well balanced shag-cut English blend with Cyprian Latakia in the starring role supported by premium Oriental and sweet Virginia tobaccos offering a rich, full-bodied smoke. 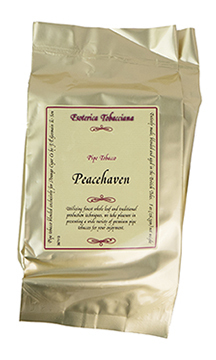 Peacehaven is an elegantly flavored flake comprised of six light colored Virginia tobaccos. Mild and rich in taste with hints of sweet and citrus fruits, this mellow flake is easy to rub out. Pembroke is the marriage of fine French Cognac with Esoterica's Margate, a classical English mixture of choice Orientals and generous quantities of premium Cyprian Latakia. A rich, full bodied blend that offers a symphony of delicate aromas and elegant flavors. 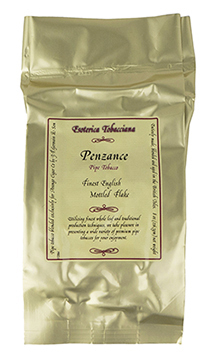 Penzance is a wonderfully complex secret blend of the finest Virginia, choice Turkish and Orientals, and Cyprian Latakia. Hand blended, hard pressed, and broad cut into thick flakes, then long matured and easily crumbled to facilitate pipe filling, Penzance is one of the finest English flakes available. 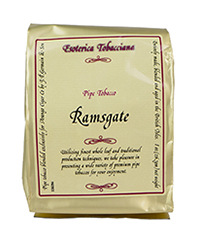 Ramsgate's select dark and Golden Virginias are hot pressed until black, and then topped with licorice essence and a pleasant aroma enhancement. A savory, slow burning, non-biting tobacco with lasting fragrance. A refined, long-lasting blend of Golden and dark Virginias, lightly pressed, cut and rubbed out. Scarborough is a soft, smooth Virginia that offers flavor and complexity. 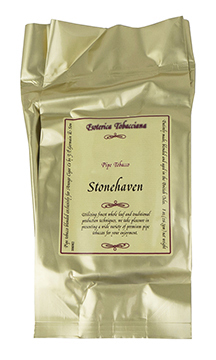 Stonehaven pipe tobacco is a marriage of air-cured leaf and Burley with select dark Virginias that is hard pressed and aged to produce brown flakes with dark undertones. Stonehaven is a traditional English flake favored by experienced pipe smokers. 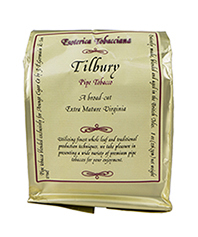 A harmonious blend of Golden and Dark Virginias with small portions of Burley and air-cured leaf provide Tilbury's unique natural aroma and piquant flavor. Matured by a special process over 100 years old, the Tilbury blend is a potent tobacco that may cause dizziness. 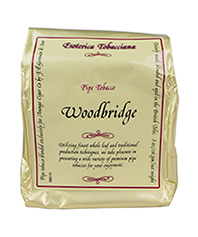 Woodbridge is a wonderfully complex mixture of six light Virginias, pressed until reddish brown and then rubbed out, plus Golden and dark Virginias hot pressed until jet-black. Lightly laced with licorice and natural fruit extracts, Woodbridge is a perfectly blended and fully matured luxury blend.